3 Online accounting degrees – Do they have credibility? 4 What do employers think? 5 What do professors think? Online accounting courses and degrees offered have been around for almost a decade now, but in terms of reputation they have come a long way since the late 2000s. A 2010 report published in CNN online revealed that employers at the time were aware of distance learning courses and degrees, but they were more likely to consider candidates with online degrees from institutes and universities offering regular courses and degrees as well. There were also many employers who said they would reject students with online courses outright, even if they met every other requirement. The assumption was that students with online degrees had only a fraction of the experience that those with regular degrees did. Another factor that brought down the reputation of quality online courses was the fact that it was easy for unaccredited and fraudulent degrees to coexist and scam students. Six years down the line, the perception of employers towards online accounting degrees has changed significantly. Well-known education publications are publishing rankings of the<best universities for distance learning>(http://www.thebestschools.org/rankings/best-online-colleges/). Many of these ranked universities have a longer history as a regular educational institution but some like the online WGU are accredited and have made names for themselves in terms of course quality. Whether you are looking for an online Bachelor’s or Master’s in Accounting, there are plenty of reputed options available. A study published in 2015 in the AAA journal Issues in Accounting Education takes a look at how employers perceive online education at both the undergraduate and postgraduate levels. The results are generally positive. According to the research, Big 4 audit companies are as willing to hire graduates from online universities as other firms. There are some conditional trends however. Lower level online courses or mixed degrees are more accepted. In other words, candidates that have an online M.B.A but an on-campus baccalaureate or vice versa are more acceptable. Overall accounting firms are more readily accepting candidates with some online course qualifications. While students will still find for-profit universities offering courses online, it is the public, non-profit online universities like WGU that have the best reputations in the field. Online accounting degrees – Do they have credibility? If you want to study accounting online, you need to be sure that people and businesses will take your qualifications seriously. Over five and a half million students are studying online, with the numbers growing by around 5% each year. Many prestigious universities now offer online courses, with the numbers expected to grow significantly over the coming years. Even back in 2010, employers were familiar with online degrees and distance learning. Over 80% of the executives who were surveyed said that an online degree was as credible as one earned through a traditional course. This article on “Time” generally supports that perspective. The Society for Human Resource Management surveyed its people and found that trust in online degrees has been steadily increasing over the last five to ten years. Despite this, the biggest concern was the reputation and recognition of the university awarding the degree. Think about that carefully when you’re choosing a provider. Only study at an accredited university – Not all online accounting courses are created equal. Make sure you study with a college or university that has been “accredited.” This means accounting employers (including the “Big 4”) will take your degree more seriously. Use a reputable university with other good graduates – Research your university online. 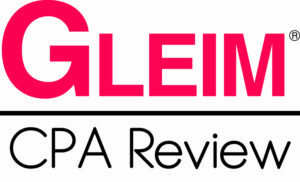 Read reviews from other graduates on their studies, experiences and employment. Make sure you study the right type of degree – You can study degrees at multiple levels – Associates, Bachelors, Masters, and PhD. An associate degree will get you into an accounting firm on the “bottom floor,” while a bachelor degree will mean you can start practicing as an accountant when you’re hired. Expect to do the same amount of work as a traditional course – Online accounting courses aren’t an easy option. You can expect a similar workload to a traditional accounting degree. Universities who offer traditional degrees alongside online ones are often viewed more favorably. The credibility of your online degree depends on several key factors. The good news is that more and more employers, accountancy firms, and HR managers believe that some online degrees have as much authority as traditional ones. If you study accounting through an accredited university that also has a reputation for traditional courses, get the right type of degree, and manage your workload, you can get a qualification that hiring managers will take seriously. While it is well known that online degrees give students the opportunities to pursue adult education and improve their qualifications when they are unable to do so on-campus, online courses have improved to a great extent from the static courses of yesteryear. Some educationists believe that online accounting degree courses give students greater opportunities for discussions with peers than classroom courses do. With advancing technologies, it has become easier to balance jobs and education simultaneously. In 2015, nearly six million students took at least one online course, according to the Babson Survey Research Group. The same report also stated that 71.4 percent academic leaders say that the learning outcomes of online courses are equal to or superior to classroom instruction. While there is still scope for improvement in the online learning field, candidates that want to improve their careers with an online accounting degree now have to deal with far less stigma than five years ago. While there are employers open to newer forms of education, there will always be a small percentage with strong beliefs in tradition. It is up to the candidate to find the right balance between traditional and more progressive forms of learning as offered by online learning today. Online courses are a very popular way for students, academics, and professionals to learn new skills and earn top-level qualifications. 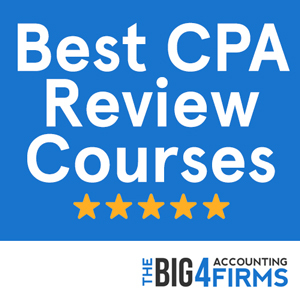 They’re ideal for studying accountancy, whether you’re looking for a job with the “Big 4” or just want to start a successful accounting career. Read on to learn about the advantages and disadvantages of an online accounting course. Online courses have increased massively in popularity over the last few years. Nearly six million students are taking online courses and earning high-quality degrees. You can see from this Google Trends study how much search terms for online accounting courses have increased since 2008. There are several great benefits to online study including a great choice of courses, cost, not needing to relocate, studying to your own schedule, and creating the right environment. Whatever type of degree you’re studying for – Associate, Bachelor, Master, or PhD, there’s an online accounting course that’s perfect for you. You can choose a course that meets your budget, schedule, academic outcomes, and more. Remember to check that the course is “accredited” as that means your qualification will be recognized by an accounting firm. We’ve made it easy to find the right course, just can start by looking through our list below. Online accounting courses are often cheaper than their offline counterparts. Even if the price of the course is the same, you’ll save on other costs like relocating, accommodation, utilities, and food. Keeping your student debt down is vital, as you’ll be able to pay it back more quickly once you get an accounting job. Moving to another part of the country can be very disruptive. When you study accounting online, you won’t need to move to another city. You can stay in the comfort of your own home, keep seeing your circle of friends, and you won’t need to go through the hassle of relocating. Some studies have put the cost of relocating at between $5,00 and $10,000. One big advantage of studying online is the flexibility you get. You can learn accounting on your own schedule. That means you can fit your classes around your job, family, or any other commitments you have. Unlike traditional courses, you can attend virtual classes in the evening or on weekends. You can also split your studying across the day or week. In addition to studying from home to your own schedule, you can also work in the way that’s best for you. This means you can setup the perfect studying environment, in a quiet part of your home and use the tools you’re most familiar with. You can take notes at your own pace, pause and replay virtual accounting classes and get easy access to your course materials. You can use productivity tools to prioritize and enhance your learning, and revision tools to help you retain the information. Of course, there are also some disadvantages to online accounting courses. Here are the main ones you can expect, and how to deal with them. Because online accounting courses provide virtual, pre-recorded classes and materials, you don’t have immediate access to a tutor. Fortunately, almost all online courses do give you access to a tutor; some offer it via email or online chat, others via Skype or telephone. When you’re choosing your course, check the availability of tutors and how you can contact them. As you’re studying, make lists of questions you can ask, so you can get clarification. Contacting other students in your online accounting course and creating a mutually supportive study group. Making it a habit to do some studying each day, no matter how much or how little time you have. Using online goal-setting and other tools to motivate you into studying. Remembering that you’ve paid for the course, so you need to get value out of it. Some people find it hard to get the time to study. Work and family commitments eat into their academic schedule. One way around this is to set clear boundaries between your work, family, and study time. Set aside time each day or week where you are only going to study. Tell your family and friends that you won’t be available. Productivity tools can also help you prioritize your tasks at home, at work, and for your accounting course. Spend some time setting them up, and you’ll be surprised how much they help you focus your attention. Studying online can be lonely. Because everything is virtual, it’s difficult to build social contact with other students. You can get around this by creating virtual study groups via Skype, Google Hangouts, Slack, or other online applications. This will help you connect with other students on your accounting course. You could also find out if any of your friends or colleagues are studying accounting and talk to them about your challenges. Online courses often provide more material and demand more work and assignments from you. You can manage this by scheduling your study time, the key lessons you need to complete, and what’s expected of you throughout the course. Track this in an online tool so you can see what you need to do at a glance. You do need to have the right mindset to study accounting online. If you can motivate yourself, have self-discipline, and don’t mind studying hard, there are lots of advantages. You can learn at your own pace, from the comfort of your home, in a way that works for you. With a good approach, you can get your degree and start a successful accounting career. About: The highly-ranked, AACSB-accredited online program at the Collat School of Business allows you to gain advanced knowledge of accounting and business from the comfort of your home. You can start your career with the Bachelor of Science in Accounting and earn an additional Master of Accountancy degree online to qualify for the CPA examination. While the Bachelor’s program offers a foundation in financial, forensic and cost accounting as well as taxation and auditing, the Master’s degree will equip you with advanced skills in accounting technologies and research. The university is ranked 149th in the country according to U.S. News and the tuition for the Bachelor’s program amounts to almost $62,000, making it one of the most affordable accounting degree programs. About: Ranked 138th nationwide by U.S. News, Washington State University prides itself on its fully AACSB-accredited online accounting program benefitting from separate accreditation. To complete a Bachelor of Business Administration with a concentration in Accounting, students must first complete a 30-credit certification in business administration including courses in economics, math, law, statistics and accounting. The rigorous undergraduate accounting curriculum covers taxation, auditing, accounting and accounting systems, as well as essential business topics such as financial management, marketing and business policy. The program tuition fees amount to approximately $68,400 for the entire degree. Students wishing to pursue a graduate degree online at Washington State can apply for the MBA or Executive MBA degree. About: The Boston-based Northeastern University offers a Bachelor of Science in Finance and Accounting, as well as Master of Science degrees in Finance and Taxation. The online degrees are AACSB-accredited and ensure an education focused on key professional and business skills. The university is ranked 42nd best nationwide by U.S. News and the tuition fees are just over $60,100 for the Bachelor’s degree program. The online courses display the same high standard of education as their on-campus counterparts, although admission criteria are a little more lenient (GMAT/GRE scores are not required for Master’s admission). About: Ranked in the top 50 schools in the country by U.S. News, Penn State University offers a highly rated online Bachelor of Science in Business with an Accounting option. With an average cost of over $67,000 for the full program, the program allows undergraduate students to specialize in accounting, financial services, marketing and management, or choose an individualized path. Graduate students can earn an online MBA from Penn State University. About: The Master of Science in Accounting at the University of Connecticut was ranked 3rd among online graduate business degrees by U.S. News in 2015. This prestigious program is recognized by both AACSB and the U.S. Distance Learning Association. Students can pursue the Master’s degree to meet CPA requirements or alternatively to advance their career by gaining advanced accounting knowledge. Non-accounting majors and working professionals interested in accounting can also pursue the online Accounting Certificate Program. This graduate program includes four courses covering essential accounting topics and skills. About: The Pennsylvania-based Clarion University benefits from both AACSB and regional accreditation. Its comprehensive online Bachelor of Science in Business Administration with a concentration in Accounting is available part-time and costs around $40,000. Students complete six to nine credits per semester and are trained in financial and managerial accounting, taxation and auditing. Accounting students wishing to graduate faster and secure entry-level jobs can also pursue an Associate of Science in Business Administration, while graduate students can enhance their CV by completing an online MBA. About: Recognized as a top-tier university by U.S. News, Florida Tech boasts a wide range of online accounting degrees accredited by the Commission on Colleges of the Southern Association of Colleges and Schools. Students can choose between an Associate of Arts and a Bachelor of Arts in Accounting as well as MBA degrees with a specialization in Accounting, Finance or both. The Bachelor of Arts in Accounting program will cost $510 per credit hour in tuition fees and will equip you with knowledge of accounting, taxation, auditing and information systems. About: The online accounting program at Auburn University is highly rated in terms of both quality and affordability and is accredited by the AACSB. The school ranked 6th nationwide in U.S. News’ 2015 listing of the best online graduate business programs. The Bachelor of Science in Accountancy degree costs just over $23,300 and consists of 30 semester hours. For those seeking an advanced degree, the online Master of Accountancy stands out through its prestige (ranked as 5th best by the Public Accounting Review) and through the fact that it includes a short on-campus residency. About: The AACSB-accredited Rutgers University Business School offers an online Master of Accountancy in Governmental Accounting that aims to equip students with skills in government accounting, auditing and financial management. Students are not required to take the GMAT before enrolling. The program boasts an excellent placement rate in careers related to the course subject and allows graduates to qualify for the CPA exam. About: Ranked 121st nationwide by U.S. News, Colorado State University prides itself on the affordability and flexibility of its online degrees. The school holds regional accreditation from the Higher Learning Commission North Central Association. This public online university offers a well-regarded online Bachelor in Accounting program, as well as a unique Master of Professional Accountancy designed to prepare you not only for the CPA exam, but also for leadership in public accounting and finance. The undergraduate program at CSU allows you to specialize in a variety of areas and costs $42,000 on average. About: Southern New Hampshire University prides itself on a wide range of high quality and affordable online accounting programs. Students can choose between a Certificate, a Graduate Certificate, a Bachelor of Science or a Master of Science in Accounting. The programs are accredited by the New England Association of Schools and Colleges. The Bachelor of Science program is accredited by the Accreditation Council for Business Schools and Programs and offers specializations in finance, information systems and business studies, as well as an accelerated track. The tuition fees for the program are approximately $38,400. Graduate students seeking CPA certification can pursue the Master of Science degree with specializations in auditing, taxation or forensic accounting. About: The Adelphi-based University of Maryland University College is accredited by the Middle States Commission on Higher Education. The school offers a wide range of accounting programs, some of which are geared towards adult students including members of the military. Students pursuing the Bachelor of Science in Accounting can expect to pay under $50,000 for the comprehensive 120-credit program. Graduate students wishing to qualify for CPA certification can choose between the online MBA, the Master of Science in Accounting and Financial Management, and the Master of Science in Accounting and Information Systems. About: Home of the best online Bachelor’s program of 2013 according to U.S. News, the University of Minnesota holds regional accreditation from the Higher Learning Commission of the North Central Association of Colleges. The online Bachelor of Science in Accounting will set you back just under $46,300 and will prepare you for a career in accounting, taxation or finance. You can also pursue an online certificate in Finance or Taxation at the University of Minnesota. About: The well-regarded Texas A&M University – Commerce offers an AACSB-accredited online Master of Science in Accounting. The course provides students with advanced knowledge of accounting, auditing and business law and prepares them for CPA qualification and senior accounting positions. While the tuition fee is $12,600 for the 30 credits of the program, interactive distance courses taught via the Internet incur additional fees of $50 per semester credit hour. About: Post University is accredited by the New England Association of Schools and Colleges; it was the first school in Connecticut to offer an online business degree. Accounting students can choose between an Associate of Science, a Bachelor of Science and a Master of Science in Accounting. The school prides itself on making use of the online environment to offer an interactive, practice-based learning experience that emphasizes innovation and leadership. Tuition fees for the Bachelor of Science are $570 per credit hour. About: Florida Atlantic University offers high-quality AACSB-accredited online programs for both undergraduate and graduate accounting students. Undergraduate students may pursue the Bachelor of Business Administration with a concentration in Accounting. Tuition fees are $105 per credit hour with an additional $60 charged specifically for the online BBA course. Graduate students can choose from a range of online degrees: the Master of Accounting with a Concentration in Forensic Accounting or Business Valuation, the Master of Taxation or the Master of Science in Finance can all help you become a CPA or advance your career. About: This AACSB-accredited Roman Catholic university in New York offers an online Associate of Science in Business Administration as well as an online Master of Science in Accounting. Tuition fees for the online Master of Science degree are approximately $34,650. The program aims to create professionals who can place accounting in the broader context of a global marketplace and who can navigate increasingly complex financial regulations. About: The New-Jersey-based Rider University offers a fully AACSB-accredited online program to prepare you for a career in accounting. Undergraduate students who already hold 60 credits of undergraduate education can opt for the online Bachelor of Science in Business Administration program. Graduate students can pursue the online Master of Science in Accounting consisting of core courses focused on professional skills and specialized electives. The online MS and MBA programs at Rider University cost $28,200 in tuition fees. About: For a broad-based understanding of business, students can pursue the AACSB-accredited online Bachelor of Business Administration and Master of Business Administration at the University of South Dakota. Accounting students on the CPA track can enroll in the Master of Professional Accountancy program. The curriculum focuses on professional competence and the development of critical thinking and the tuition fees are approximately $415 per credit hour. About: Sullivan University holds accreditation at all levels from the Southern Association of Colleges and Schools Commission on Colleges, as well as from the International Assembly for Collegiate Business Education. The school boasts the largest accounting program of any Kentucky private university. Aspiring accountants and CPAs can pursue an online Bachelor of Science in Accounting, as well as a Master of Business Administration with a concentration in Accounting. Undergraduate tuition fees at Sullivan University are $320 per credit hour, while MBA tuition fees are $545 per credit hour. Such programs usually offer the same number of credits as their offline counterparts, but offer flexible scheduling allowing you complete your degrees at your own pace..
Online programs can range from affordable to expensive, but can incur additional fees associated with the costs of interactive distance learning. Some of the main advantages of studying online include flexibility, the ability to transfer credits, being able to combine your schoolwork with a full-time job, and the chance to learn from home instead of a classroom (which means a reduction in costs). If distance learning suits your present circumstances, there are ways to ensure that you get a high-quality education. Choose a highly-ranked university with strict admission and graduation criteria and accredited at the national or regional level (AACSB accreditation is the most reliable for accounting courses). And don’t let the flexibility of the course prevent you from studying hard – with online learning, it’s really up to you to make the most of your degree. Online degrees have their pros and cons, but one thing is certain: in a changing business world with lots of career possibilities, distance degrees are here to stay. Whether you’re a working professional in need of an additional qualification, a mature student, or a career changer, the flexibility of an online accounting degree can help you reach higher in your career. Have you Consider a Career in Forensics? What is The #1 On-Campus Accounting School in The USA?